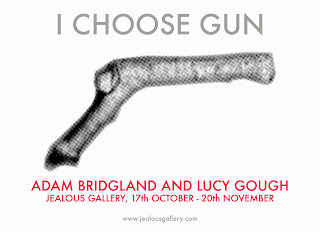 I am delighted to announce a two person exhibition with Lucy Gough at Jealous Gallery, London. Opening on the 17th October 2013, the exhibition will feature new and recent works. Here is the flyer for the show, we hope to see you there. A meet the artist event will be announced in the coming week and details will be posted on the blog.